It’s estimated that the average American will spend about 11 hours to fill out their tax return. However, 20-25% of all Americans will wait to the 11th hour to file their taxes. Are you one of those Americans? If so, here are 4 tips to help you navigate tax return crunch time. Tax Day 2019 is here. Are you ready? 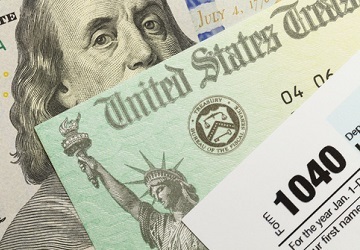 Tax Day 2019 is fast approaching, in fact, it’s this upcoming Monday, April 15th. If you’re one of millions of Americans waiting to the last minute to file your tax return (the IRS estimates about 20-25% of all Americans do this) then it might be time to reassess how you’re going about getting your taxes done. Especially because you don’t want to miss out on an average $2,957 tax refund this year. Here are 4 tips to help give you the push you need to finish your returns and get the proper refund you’re owed. No matter what stage of the tax return process you’re in, having the necessary documents to file your tax return is crucial. You simply won’t be able to do the return without the requisite paperwork. The most vital of these documents include your social security card, income statements (like a W-2 or 1099 form), the previous year’s tax return for comparison, health-coverage statements, and your bank account information. Other items include receipts for deductions you plan to make, such as charitable donations or business expenses. You’ll want to keep all of this organized and easily accessible for yourself, or the accountant or service you’re working with to file your taxes. Don’t go out and try to adopt a complicated filing system with only a week to go, but make sure everything is organized in such a way that it makes sense to you and you won’t have to constantly hunt for the right bit of paperwork. Even in the 11th hour it’s important to have a plan, adjust where you need to, but still follow it to the finish line. It can keep you focused on the necessary steps you need to take to finish out your tax return, whether you’re doing it all yourself, through an online system, or working with an accountant. With confidence in knowing where you’re going, you will get to your destination. In the heat of the moment you may want to skip going through every itemization deduction you are able to make and stick with the standard deduction. Don’t miss out on savings just because you have to rush. This is especially true if you own the practice or a partner, because you can deduct business expenses such as travel, meals, accommodations, office equipment, medical equipment, CME expenses, board exam fees, and more. According to Maureen Bruns, an assistant professor of accounting at the University of Cincinnati, “many individuals do not realize that certain items touted as deductions, such as charitable contributions, are in fact only deductible if the taxpayer is eligible to itemize on their return.” Meaning, you won’t get most of the deductions you were hoping to get unless you take the time to itemize them. It’s usually inevitable, but something might go wrong or throw you off while filling out your tax return. A deduction you’re not sure you can make, income numbers you’re not sure add up, receipts or paperwork you lost in the shuffle, and a whole host of other issues. Don’t panic. Make a note of what’s going wrong and how you overcame it so that next year you aren’t running into the same problem again and again. This can be as small as a filing system change to become more organized or be as big as doing your taxes differently next year. Maybe next year you research and buy an online system to use. Or let your accountant work more hands on with your paperwork. Either way, making a note of what’s going wrong now may not save you time this weekend, but it will save you time for many more tax returns to come. For more tax tips and savings read on here!